As far as you know, scientists are serious and rather dull guys in white coats doing experiments, talking gibberish and trying to get to the bottom of all things unexplained and seemingly unexplainable. Enter James Dewey Watson, an ambitious 24-year-old American womanizer at Cambridge who’d go so far as to even filch an idea if Nobel-worthy. The name sounds familiar? Probably because it was one of the first you learned in your biology class. Yup – that’s the guy who discovered the structure of DNA. 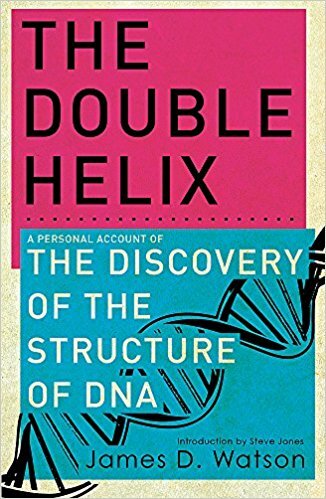 And “The Double Helix” is his thriller-like account of that immensely important scientific journey. Who Should Read “The Double Helix”? And Why? “The Double Helix” has everything a book should (and shouldn’t) have: determination and hunger for fame, against-all-odds story of success and caricatural portraits of famous people, friendships, betrayals, and even bigotry and chauvinism. You should read it because you want to be a smarter fellow; after all, the discovery of DNA changed so many things about the world. Read it for the gossips and the unabashedly honest behind-the-scenes depictions of celebrated scientists – if you want juicy details from a world you taught had none. Read it for the sheer joy of research – once you finish it, you’ll certainly get a better picture of the process by which scientists come across great discoveries. And read it for pleasure – if you are tired of novels and other types of fiction. Because – sometimes – real life is just incalculably more interesting. is an American geneticist, molecular biologist, and zoologist, a co-discoverer of the structure of DNA with Francis Crick. He worked on Harvard for two decades (1956-1976) and served as either director or president of the Cold Spring Harbor Laboratory from 1968 to 2007. He resigned after making one possibly racist remark. It was April 25, 1953. But beyond that – an event which will irretrievably change the course of history. 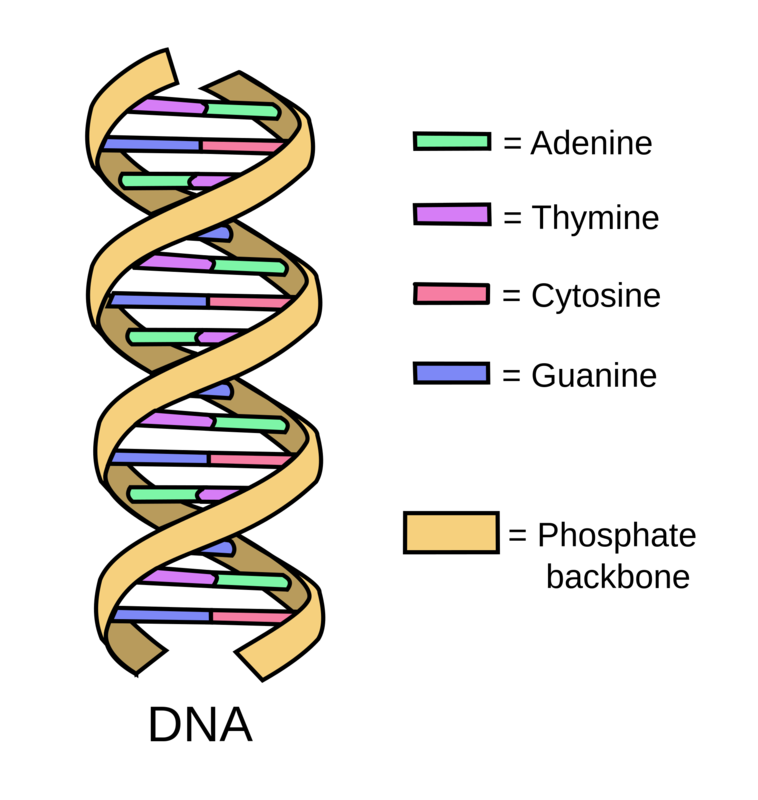 Because what we just described was the article and the day the world first saw the double helical structure of the DNA we have grown accustomed to in the meantime. If that doesn’t send shivers down your spine, let us rephrase that: 25 April 1953 was the day we discovered the secret of life. Published a full decade and a half later, “The Double Helix” is James Watson’s personal account of this discovery. You may think that it’s too scientific and unintelligible, too dull and mind-scratching for a person who doesn’t know anything about biochemistry. But that only means that you don’t know James Watson. A post-doctoral research fellow in Copenhagen, Watson was an ambitious man who wasn’t at all interested in the work of his mentor, Herman Kalckar. Fortunately for him, he accompanied Kackar to a meeting in Italy, where he heard Maurice Wilkins talk about his X-ray data on the structure of DNA. So, the autumn of 1951, he went to Cambridge University and joined the group working in the Cavendish Laboratory. Officially – to work on three-dimensional structures of proteins. Unofficially – to make a discovery which will grant him a Nobel. And, oh yes – to meet a “popsy” or twenty. After all, Watson was a man; and he was barely 23. There are many even harsher about practically every single person Watson ever met during this period. Himself included. Anyway, Watson and Crick may have had dreams of greatness, but neither of them had any clue how they were supposed to be the first to discover the structure of DNA when everybody who meant something in the world of biochemistry at the day was trying to achieve the same thing. To put it mildly, the odds were against them. In London, Wilkins was working with Rosalind Franklin, gathering and analyzing data. And over the Atlantic, in Watson’s home country, Linus Pauling had been studying DNA for years. And – in case you forgot – Watson and Crick weren’t even supposed to be working on DNA models. But, you know how it goes: scarcity breeds invention – especially after hours. And, as Machiavelli once said, the end justifies the means. Michael Scott’s alteration may be even more applicable in this case: the end justifies the mean. First, Watson managed to get an invitation to a Franklin lecture, and then, after Linus Pauling’s latest theory was found to have fundamental flaws, went to Franklin’s lab and used, without her permission or knowledge, the best X-ray diffraction image of crystallized DNA available: Photograph 51. Now, Watson and Crick were on to something. And everybody was aware that they were. The director of the Cavendish Laboratory, Sir Lawrence Bragg, announced the discovery on April 8, 1953, at a conference in Belgium. The press didn’t even report the story. But, after the “Nature” article and few talks by Bragg, by the next month, the world was in awe of the importance of the discovery. Watson and Crick were stars. A decade later, they shared the Nobel Prize in Physiology or Medicine with Wilkins. Unfortunately, four years before that, Rosalind Franklin succumbed to the ovarian cancer she was suffering from, at the very early age of 37. True, some scientists are in it for the potential contribution they can make to a better future for humanity. But, not few are in it for the money or the fame. And some – maybe even the majority of them – are in it because of all of that. “The Double Helix” tells this in no uncertain terms. 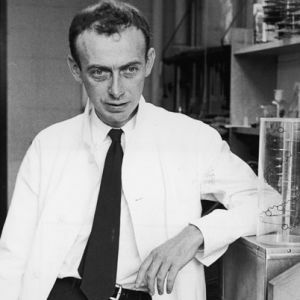 The reason why James Watson got interested in the study of DNA was not because of the importance of the discovery itself, but because he wanted to be the one to make it. In other words, even if Watson was working merely on his thesis, someone else would have undoubtedly discovered the model of DNA. But, that was not the point. The point was that the discoverer would leave a mark in history and be remembered for all times. And James Watson will win it because, against the Cavendish board advices, he will work after hours on his models. And because he will decide to use other people’s data instead of working on acquiring his own. Now, what happened with Linus Pauling? He is, after all, a household name for a reason: the 16th greatest scientist in history (ahead of Curie, Hubble, Fermi, Euler…), Pauling is the only person ever to win two unshared Nobel Prizes. And at the time Crick and Watson had to borrow both time and money to work on the DNA model in hiding, he had both the funds and the equipment to work out a solution before everybody. Not only he didn’t, but his model – triple helix – exhibited several serious mistakes and one fundamental flaw: a proposal of neutral phosphate groups. Now, how can anything – let alone a constitutive element – remain neutral in an acid environment, right? Well, Pauling didn’t see that. He later stated several reasons which resulted in his mistakes, but, really, he shouldn’t have bothered. The fact is – he was merely human. And humans – even the best specimens – make mistakes. Speaking of which: James Watson has incited a fair share of controversies himself. Even though James Watson claims that the tragic figure in “The Double Helix” is Maurice Wilkins, that title, much more deservedly, goes to Rosalind Franklin, an X-Ray crystallographer whose data – especially, Photo 51 – was of crucial importance to the discovery of DNA. She died of cancer four years before Watson, Crick, and Wilkins won the Nobel Prize. To add insult to injury, Watson paints her in “The Double Helix” in an unfavorable light. Not because she lacked something – but because she was a she, a woman. Sounds like an oxymoron. But it’s the cruel reality women scientists had to face for most of the 20th century. So consistently, in fact, that, by now, accolades are in the book’s DNA! Still need our critical review?